Nestled in between the Financial District and the harbor, Battery Park City hosts young professionals during the day but turns peaceful and quiet at night. It’s a pet-friendly area with an abundance of green space, luxury buildings, and easy subway access. 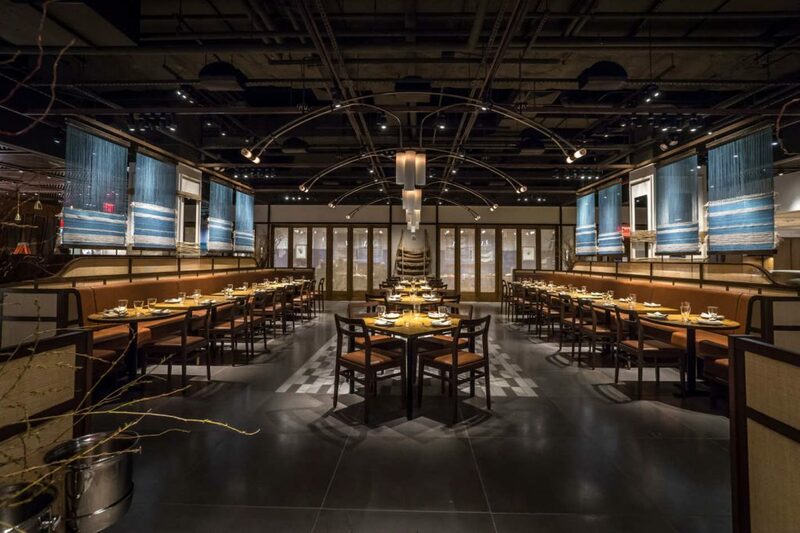 Battery Park City also features some of the best new restaurants New York City has to offer – here are five of them. Le District is both a restaurant and market space. Located next to the North Cove Harbor, it’s been called the French equivalent to Eataly. 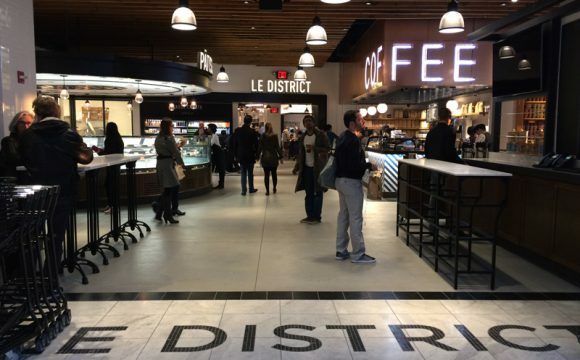 At Le District, their mission “is to deliver delicious French-inspired fare in an environment where service and quality are paramount.” Le District hosts Michelin-starred fine dining restaurant L’Appart, Beaubourg bistro, and casual bars Le Bar and Bar a Vin. There’s also a charcuterie bar, butcher, cheese shop, and fishmonger. 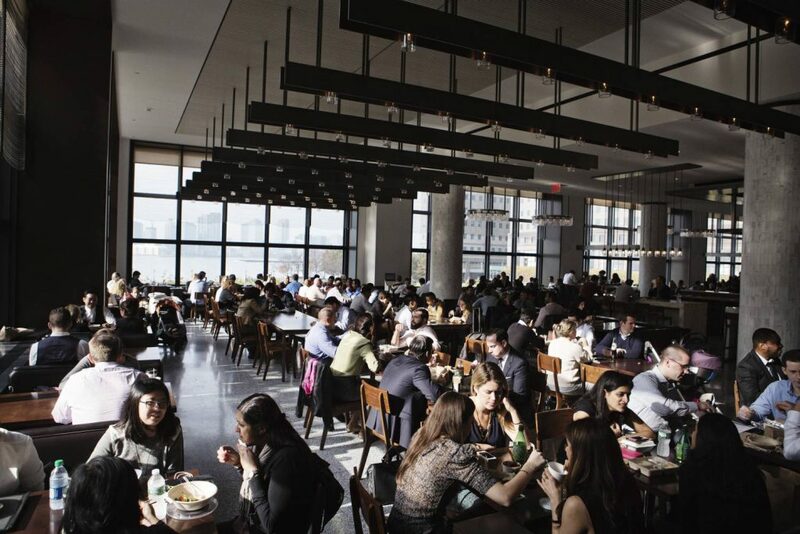 Hudson Eats is a food court located within the Brookfield Place complex. It features some of New York City’s popular vendors such as Blue Ribbon Sushi, Might Quinn’s BBQ, Umami Burger, and Black Seed Bagels. Le District is located within Hudson Eats as well. Make sure to get their early, though, as the lunch crowd gets busy. El Vez is casual yet contemporary and fuses the soul of Mexican and Mexican-American culture. It features a gorgeous space with a dining area, large bar accompanied by a photobooth, and a wrap-around patio fit for dining outside. El Vez features menu items such as ceviches, tacos, quesadillas, enchiladas, and guacamole. 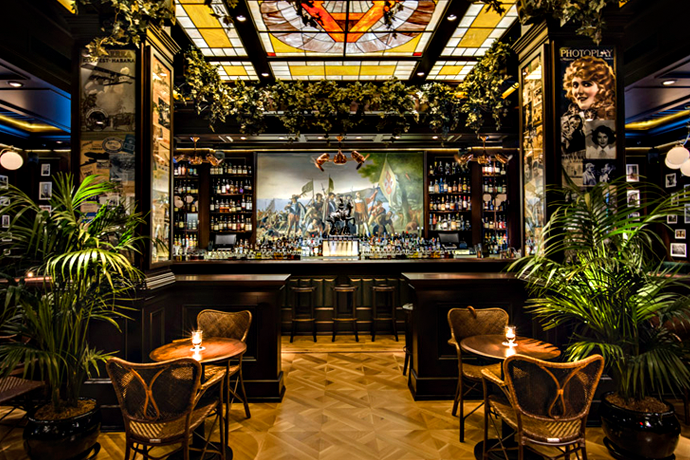 Their bar features creative cocktails such as signature margaritas and over 100 mezcals and tequilas. An Andalusian tapas bar and restaurant, Amada is a well-anticipated Battery Park City restaurant from acclaimed chef Jose Garces. Garces opened the first Amada in Philadelphia in 2005 and New Yorkers have been waiting for him to open a location in New York City. The restaurant embraces traditional Spanish cuisine while incorporating modern tapas. The Amada features an extensive list of wine, seasonal sangria, and traditional Spanish cocktails. Thanks to the Financial District’s Dead Rabbits success, owners Sean Muldoon and Jack McGarry decided to expand and set up shop in Battery Park City. 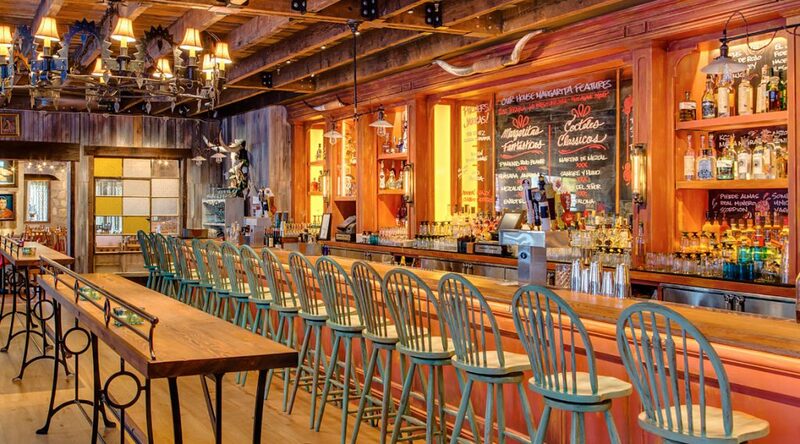 Blacktail, unlike Dead Rabbit, is a rum-centered, Cuban-themed bar. But, they also have a good selection of bar snacks, and Cuban sandwich, among others. Where is your favorite place to eat in Battery Park City? Let us know in the comments below? Love all aspects of real estate. CEO of CribRater and formerly worked on acquisitions for TF Cornerstone, Rockrose, RXR and Wood Partners.